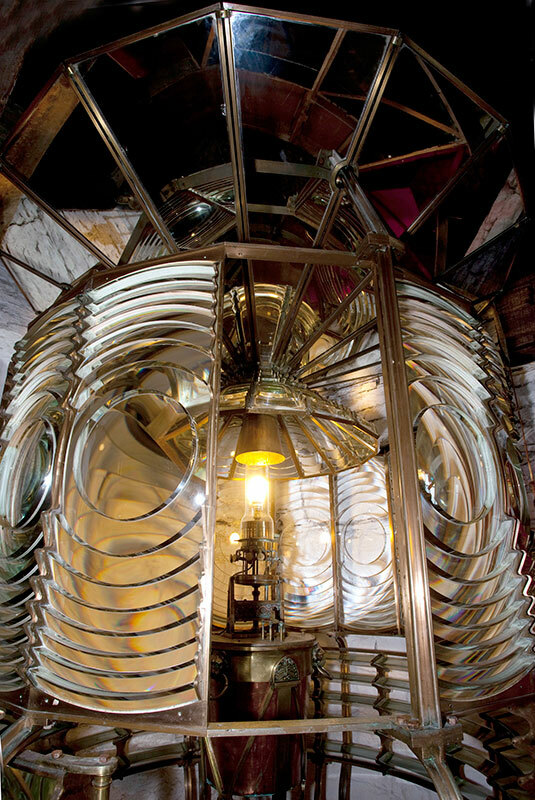 This light (on display both up and downstairs) comes from Noss Head, just north of the town. 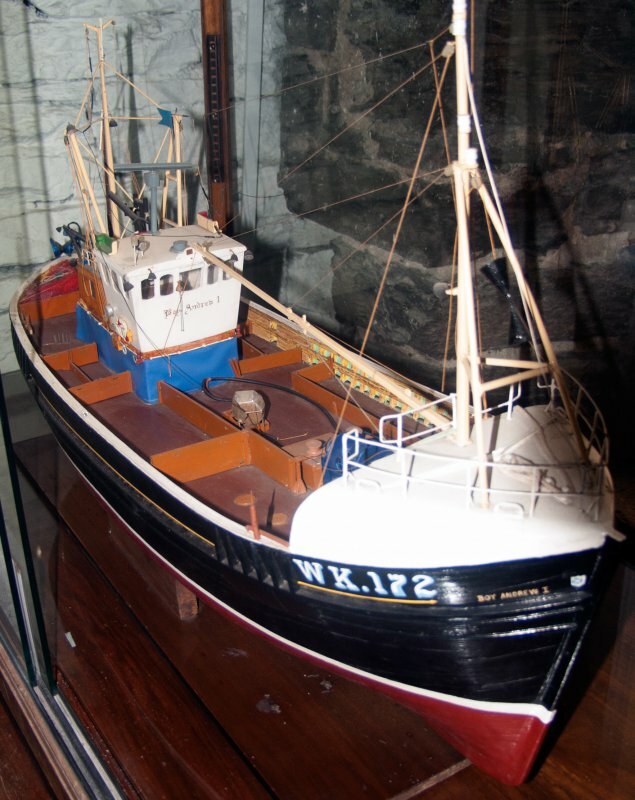 It was built in 1849 by Alan Stevenson and it operated there until 1987 when the lighthouse was automated. The whole lamp and lens carriage was rotated by a clockwork mechanism driven by a weight which was wound-up by the duty keeper. 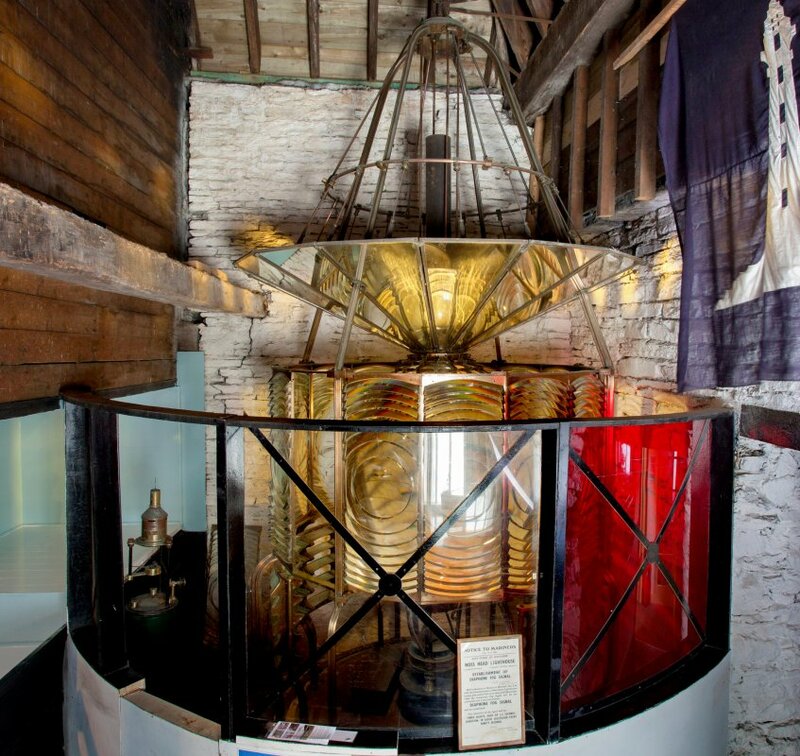 Some lighthouses have red or other coloured glass in sections to indicate that a vessel seeing that colour must be in a particular area. As the carriage rotated, its light was seen as white or coloured flashes. 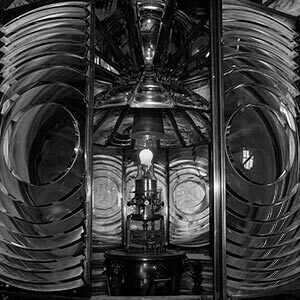 All lighthouses have distinct flashing patterns, known as characters. Dunnet Head repeats four flashes every thirty seconds, whilst the Pentland Skerries light's character is three white flashes every thirty seconds. Noss Head has one flash every twenty seconds. The white stone lighthouse is on a cliff fifty three metres high, and is itself eighteen metres high. Its light's nominal range is twenty five miles.